123Genomics - Internet resources related to genomics and bioinformatics. Also, Sequence, Structure & Function Databases. 23andMe - Source of personal genetic information. About Biotechnology - About.com guide to the business of biotechnology. Actionbioscience - Examines issues on environment, biodiversity, genomics, biotechnology, evolution, biology in the new millenium, and science education. Advanced Cell Technology (ACT) - ACT was formed in 1994 as a subsidiary of a poultry genetics company. ACT has since transformed into a world leader in autologous regenerative medicine. While the company is still engaged in animal cloning for technology development and pre-clinical trial purposes, the company's efforts are primarily now in human cell therapy. Amgen - Human therapeutics company developing a variety of drugs, including EPOGEN (stimulates and regulates the production of red blood cells), NEUPOGEN (stimulates the growth of infection-fighting white blood cells known as neutrophils) and INFERGEN (a bioengineered non-naturally occurring type 1 interferon used to treat chronic hepatitis C viral infection). American Journal of Human Genetics (AJHG) - A record of research and review relating to heredity in man and to the application of genetic principles in medicine, psychology, anthropology, and social services, as well as in related areas of molecular and cell biology. Topics explored by AJHG include behavioral genetics, biochemical genetics, clinical genetics, cytogenetics, dysmorphology, genetic counseling, immunogenetics, and population genetics and epidemiology. American Type Culture Collection (ATCC) - Maintains and distributes biological materials. Conducts research on both collection-oriented and grant-supported topics, including improved storage and characterization methods, authentication of standards, descriptions of new species, genomics, in vitro cell biology, and disease diagnosis and prevention. Animal Genome Size Database - A comprehensive catalogue of animal genome size data. Includes Haploid genome sizes (C-values) for approximately 2,100 species and subspecies of vertebrates and 800 species of invertebrates. Applied Biosafety - Journal of the American Biological Safety Association (ABSA). Arabidopsis Information Resource (TAIR) - Provides a comprehensive resource for the scientific community working with Arabidopsis thaliana, a widely used model plant. The Arabidopsis Genome Initiative (AGI) is an international collaboration to sequence the genome of the model plant Arabidopsis thaliana. Athersys, Inc. - Provider of functional genomics capabilities and drug development tools. Developing products related to the use of genetic material to prevent and treat disease. Atlas of Genetics and Cytogenetics in Oncology and Haematology - A peer reviewed on-line journal and database devoted to genes involved in cancer, cytogenetics and clinical entities in cancer, and cancer-prone diseases. BioCentury Publications Inc. - A leading provider of business intelligence about the biotechnology industry through high value-added newsletters, conferences and research services. Publishes newsletters, develops databases, offers business research services, conducts investment conferences. BioCyc Knowledge Library - The BioCyc collection of databases provides electronic reference sources on the pathways and genomes of different organisms. Detailed organism-specific databases are available for 14 species. In addition, the MetaCyc metabolic pathway database contains literature-derived metabolic pathway data for 160 species. Bioentrepreneur - The Bioentrepreneur portal has evolved from a series of supplements published by Nature Biotechnology since 1998. Its mission is to become an interactive online resource for researchers hoping to commercialize their research, and for those working for and with young life science companies. Also see TradeSecrets, a Bioentrepreneur blog. Biomat - A collection of links related to biomaterials, biomedical engineering, biology, medicine and health sciences in general. Biomaterials & Bioengineering Glossary - From Cambridge Healthtech Institute. Biosafety - BioTrack - Focuses on information related to the regulatory oversight of products of biotechnology which is used by governments, industry and other stakeholders. Bioscience Resource Project - Conducts independent scientific analysis of genetic engineering and its risks. Biospace - Hub for life sciences: biotech, biotechnology and pharmaceutical news, jobs, companies, stocks. Biotech Chronicles - Essays on genetics and DNA research, profiles of some of the influential individuals who have helped build the biotechnology industry, and an integrated series of time lines which provide an overview of biotechnology from a historical perspective. Biotech Hobbyist Magazine - The place on the Web for biotech tinkerers, builders, experimenters, students, and others who love the intellectual challenge and stimulation of hobby biotech. Biotechnology Industry Organization (BIO) - Biotechnology information, advocacy and business support. BIO members are involved in the research and development of innovative healthcare, agricultural, industrial and environmental biotechnology technologies. Corporate members range from entrepreneurial companies developing a first product to Fortune 100 multinationals. BioWorld Online - Biotechnology news and information. Biozone/Bio Links- Find links relating to animal behaviour, biotechnology, cell biology, ecology, evolution, genetics, health and disease, plant biology, and more. Broad institute - Launched by MIT and Harvard in 2004 to improve human health by using genomics to advance our understanding of the biology and treatment of human disease, and to help lay the groundwork for a new generation of therapies. C. elegans Genome Project - A collaboration between the Wellcome Trust Sanger Institute, Cambridge and the Genome Sequencing Center at the Washington University School of Medicine, St. Louis. 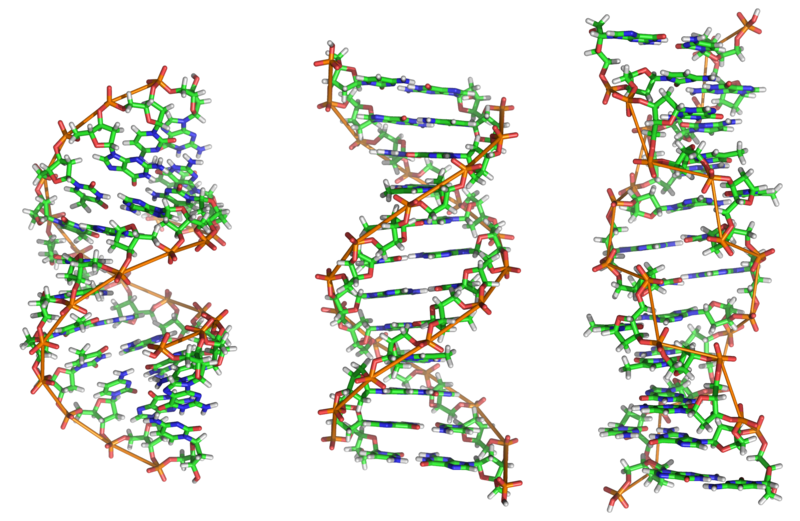 The essentially complete sequence, was published in a December 1998 issue of Science (additional notes here) and the last remaining gap in the genome sequence was finished in October 2002. Calico - Working on dvanced technologies to increase understanding of the biology that controls lifespan. California Institute for Regenerative Medicine (CIRM) - Documents and news about this California state agency "established in 2004 with the passage of Proposition 71, the California Stem Cell Research and Cures Initiative which provided $3 billion in funding for stem cell research at California universities and research institutions." Provides text of the proposition, a FAQ about the agency, press releases and statements, meeting agendas and minutes, funding opportunities, and related material. California Stem Cell Report - This blog, from David Jensen, provides news and commentary on public policy, business and economic issues related to the $3 billion California stem cell agency, officially known as the California Institute for Regenerative Medicine (CIRM). Cell - Publishes 26 issues of discoveries in biology every year, including an annual Review Issue. Every paper published in Cell is freely available starting 12 months after publication. Cell publishes findings of unusual significance in any area of experimental biology, including but not limited to cell biology, molecular biology, neuroscience, immunology, virology and microbiology, cancer, human genetics, systems biology, signaling, and disease. Center for Bioethics - A leader in bioethics research and its deployment in the ethical, efficient, and compassionate practice of the life sciences and medicine. Center for Food Safety (CFS) - Challenges harmful food production technologies and promotes sustainable alternatives. Celera - Source of genomic, proteomic and related biological and medical information. Celera makes its integrated information and discovery system available to researchers in pharmaceutical, biotechnology, and academic institutions on a subscription basis. cellnucleus - Portal for the field of nuclear organization and higher-order chromatin structure. Teaching materials for lectures, study materials for students, and advanced research material for professionals. Center for Conservation Genetics (ConGen) - ConGen supports American Museum of Natural History research and training programs related to identifying and conserving the patterns and processes of genetic diversity on the planet. Center for Genetics and Society - Working to encourage responsible uses and effective societal governance of the new human genetic and reproductive technologies. Clonaid - Alien-fixated sect called the Raëlians are generating a lot of publicity marketing itself as the first company in the world to offer human cloning. Raël is the founder of the religious organization called the Raëlian Movement. Raëlians believe that life on earth was created scientifically in laboratories by extraterrestrials whose name Elohim is found in the Hebrew Bible and was mistranslated by the word God. The Raëlians claim that Jesus' resurrection was, in fact, a cloning performed by the Elohim. Coat Colors of Mice - A model for mammalian gene action and interaction by Willys K. Silvers. Cold Spring Harbor Laboratory (CSHL) - Founded in 1890, CSHL is a private, non-profit institution with research programs in cancer, neuroscience, plant genetics, genomics, and bioinformatics and a broad educational mission. Cold Spring Harbor Symposia on Quantitative Biology - The primary motive of the conference symposia is to consider a given biological problem from its chemical. physical and mathematical, as well as from its biological aspects. Cold Spring Harbor Laboratory is developing an archive that will become the center for historical research on modern experimental biology. Comprehensive Microbial Resource/Institute for Genomic Research (TIGR) - Access data from all of the genome sequences completed to date. Accessible here is the Omniome database which contains the sequence and annotation of each of the completed genomes as well as associated information about the organisms (such as taxon and gram stain pattern), the structure and composition of their DNA molecules (such as plasmid vs. chromosome and GC content), and many attributes of the protein sequences predicted from the DNA sequence (such as pl and molecular weight). Compugen - Compugen's LEADS drug discovery platform has been designed to enhance the ability of researchers to extract useful information from genomic and protein data, thereby accelerating the discovery of new drugs and other products. Council for Biotechnology Information - Communicates science-based information about the benefits and safety of agricultural and food biotechnology. Its members are the leading biotechnology companies and trade associations. Council for Responsible Genetics (CRG) - Fosters public debate about the social, ethical and environmental implications of genetic technologies. Cloning and Human Genetic Manipuation, Genetic Testing, Privacy and Discrimination, Biotechnology and Agriculture, Biowarfare, Genetic Bill of Rights, and Other Genetic Issues. Also see Genewatch, America's first and only magazine dedicated to monitoring biotechnology's social, ethical and environmental consequences. Creative Proteomics - The proteomics division of Creative Dynamics Inc, an integrated CRO company that provides a full range of drug development services, including molecular biology, biochemistry, systems biology, organic chemistry, genomics, bioinformatics, structural biology, preclinical and clinical studies. Crick Papers - The papers, including correspondence, laboratory notebooks and manuscripts for published articles and books, cover the period in the early 1950s, when Francis Crick and James Watson discovered the DNA double helix, together with all Crick's subsequent work in molecular biology and neuroscience. CRISPR Therapeutics - Focused on developing transformative gene-based medicines for serious human diseases. Also see: What are genome editing and CRISPR-Cas9? Cytokine Family Database (dbCFC) - A collection of cDNA, gene and protein records of cytokines deposited in public databases. It provides various information about the cytokine members of vertebrates in other databases including NCBI GenBank, Swiss-Prot, UniGene, TIGR (The Institute for Genomic Research) Gene Indices, Ensembl, Entrez Gene, Mouse Genome Informatics (MGI) and Rat Genome Database (RGD). It also provides orthologous relationship of cytokine members and includes novel members identified in the database. Dendreon Corporation - Dedicated to the discovery and development of immunologically based therapeutic products for the treatment of cancer. Through the use of antigen discovery, antigen engineering and dendritic cell technologies, Dendreon develops therapeutic vaccines designed to induce cell-mediated immunity - the body's key defense against cancer. Dendreon's most advanced product candidate, Provenge, is a therapeutic vaccine for the treatment of prostate cancer. Dictyostelium discoideum - A centralized source for information about Dictyostelium discoideum and related organisms. DNA Data Bank of Japan (DDBJ) - DDBJ is the sole DNA data bank in Japan, which is officially certified to collect DNA sequences from researchers and to issue the internationally recognized accession number to data submitters. 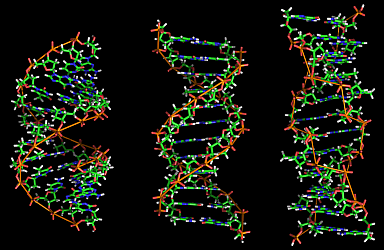 DNA from the Beginning - An animated primer on th ebasics of DNA, genes, and heredity. DNAHouse - "We collected 217 specimens from apartments, stores, and outdoors, photographed and labeled them, and delivered our specimens to the American Museum of Natural History for DNA barcode analysis. We matched sequences from our specimens to records in Barcode of Life Database and GenBank. Also see Press Release. DOE Genomic Science - Site of the U.S. Human Genome Project, Genomics Image Gallery, and Microbial Genome Program - all sponsored by the U.S. Department of Energy Genome Programs. DOE Joint Genome Institute - Leverages the capabilities of the Department of Energy National Laboratory to develop and exploit new sequencing and other high-throughput, genome-scale and computational technologies. ecoglobe: genetic engineering biotechnology - Genetic engineering in clear language; the arguments pro and contra. eLife - Publishes research in the life sciences and biomedicine. EMBO Journal, The - Official journal of the European Molecular Biology Organization. ENCODE - ENCODE, the Encyclopedia of DNA Elements, is a project funded by the National Human Genome Research Institute to identify all regions of transcription, transcription factor association, chromatin structure and histone modification in the human genome sequence. Thanks to the identification of these functional elements, 80% of the human genome now has at least one biochemical function associated with it. This expansive resource of functional annotations is already providing new insights into the organization and regulation of our genes and genome. Ensembl - The Ensembl trace repository provides a permanent archive for single pass DNA sequencing reads and associated traces and quality values. These will come from whole genome shotgun projects, EST projects, and other large scale sequencing projects. It is exchanging data regularly with the NCBI trace archive. Ethical, Legal, and Social Implications of Human Genetics Research (ELSI) - The ELSI Program was established by the architects of the Human Genome Project to address the ethical, legal and social issues that arise as the result of human genetic research. European Bioinformatics Institute (EBI) - EBI is a center for research and services in bioinformatics. The Institute manages databases of biological data including nucleic acid, protein sequences and macromolecular structures. Expression Analysis - Specializing in microarray analysis, bioinformatics, and expression gene profiling service. Genemed Biotechnologies, Inc. - Develops molecular biology reagents. Offers custom services to enhance biological methods and technologies. GeneCards - A searchable, integrated, database of human genes that provides concise genomic related information, on all known and predicted human genes. GeneCards presents a complete summary for each gene, and provides the means to obtain a deep understanding of biology and medicine. Genentech - A leading biotechnology company using human genetic information to develop, manufacture and market pharmaceuticals. GenePath - A web-enabled intelligent assistant for the analysis of genetic data and for discovery of genetic networks. Genetech - This site has been established to support discussions about genetic engineering and to provide information intelligible to non scientists. Mailing lists, biotechnology news archive, GMO databases. GeneTests - Provides reliable, easy-to-use and current genetic counseling and testing information for the benefit of families and their healthcare providers. Genetic Association Database - Archive of human genetic association studies of complex diseases and disorders. Allows you to identify medically relevant polymorphism from the large volume of polymorphism and mutational data, in the context of standardized nomenclature. Genetic Literacy Project (GLP) - Explores the intersection of DNA research and real world applications of genetics with the media and policy worlds in order to disentangle science from ideology. The commitment of the GLP is to promote public awareness and constructive discussion of genetics, biotechnology, evolution and science literacy. Genetic Resources Action International (GRAIN) - Promotes the sustainable management and use of agricultural biodiversity based on people's control over genetic resources and local knowledge. Genetic Science Learning Center - Helping people understand how genetics affects their lives and society. Genetics Home Reference (NIH) - Provides consumer-friendly information about the effects of genetic variation on human health. GeneWatch UK - An independent organisation concerned with the ethics and risks of genetic engineering. Genome Consortium for Active Teaching (GCAT) - Bringing functional genomic methods into undergraduate curriculum through student research. Genome News Network (GNN) - Covers developments in genomics research around the world. Genome Sequencing Center - The Genome Sequencing Center at Washington University Medical School focuses on the large scale generation and analysis of DNA sequence. GenomeNet - A Japanese network of database and computational services for genome research and related research areas in molecular and cellular biology. GenomeWeb Daily News - Genome news headlines. Genomics and Bioinformatics Group - Provides useful bioinformatic program packages, microarray data analysis information, and molecular databases for genomic and proteomic research. Genomics Glossaries - Genomics terminology and taxonomies. Greenpeace International: Genetic Engineering - Genetic engineering news and information. Hastings Center, The - Much of the Center's research addresses bioethics issues in three broad areas: care and decision making at the end of life, public health priorities, and new and emerging technologies. Human Cloning - AAAS policy brief. Human Cloning and Human Dignity: An Ethical Inquiry - Report of The President's Council on Bioethics, Washington, D.C., July 2002. Human Cloning Foundation (HCF) - Proselytizing the benefits of and seeking support for human cloning. Articles, essays, news, discussion groups, other resources and links. Human Gene Map - Research tools page, abstracts, glossary, browse by chromosome. Human Genetics and Medical Research - Produced in collaboration with the National Cancer Institute, National Institute of General Medical Sciences, National Human Genome Research Institute, National Institute of Allergy and Infectious Diseases, and the National Heart, Lung, and Blood Institute. Human Genome, The - A guide to online human genome resources provided by the National Center for Biotechnology Information (NCBI). Human Genome Project Information - Though the HGP is finished, analyses of the data will continue for many years. Follow this ongoing research at the Post-Human Genome Project Progress & Resources page. Human Genome Sciences - A pioneer in the use of genomics, the study of all human genes, and the development of new pharmaceutical products. A leader in moving these genomics-based drugs into patient-based clinical trials. Human Genome Variation Society (HGVS) - The Society aims to foster discovery and characterization of genomic variations including population distribution and phenotypic associations. Promotes the collection, documentation and free distribution of genomic variation information and associated clinical variations and endeavor to foster the development of the necessary methodology and informatics. Human Genome Working Draft at UCSC - This page contains links to an assembly of the current draft of the human genome. This draft genome is composed of hundreds of thousands of fragments of various sizes. Its assembly is an attempt to merge together overlapping fragments, and to order and orient non-overlapping fragments based on mRNA, EST, paired plasmid reads, and other information. Hybrigenics - Proteomics company dedicated to the identification of novel biological targets involved in key cellular functions, using protein-protein interactions to discover lead compounds which are the precursors of future medicines. iHOP: Information Hyperlinked over Proteins - A network of concurring genes and proteins extends through the scientific literature touching on phenotypes, pathologies and gene function. The network presented in iHOP contains half a million sentences and 30000 different genes from human, mouse, Drosophila, C. elegans, zebrafish, Arabidopsis, yeast and E. coli. Incyte Genomics - Research on the molecular basis of disease includes genomic and expression databases, contract sequencing services, and bioreagent products and services. Institute for Regenerative Medicine (University of Pennsylvania) - Enables diverse experts to come together for basic research in stem cell biology and tissue regeneration. The goal of IRM at UPenn is to create new cells and tissues for research, diagnostics, and organ repair and replacement therapies. Institute of Molecular Biotechnology (IMBA) - Biomedical research. Interactive Fly, The - A cyberspace guide to Drosophila genes and their roles in development. International Register on Biosafety - U.N. site focusing on information useful in establishing a regulatory framework for the safe development, transfer, and application of biotechnology. Introduction to Clinical Microbiology - The Cell, Lab Methods, Taxonomy. Journal of Commercial Biotechnology - International quarterly publication for bioscience business professionals. KEGG: Kyoto Encyclopedia of Genes and Genomes - Working towards presenting a complete computer representation of the cell and the organism, which will enable computational prediction of higher-level complexity of cellular processes and organism behaviors from genomic information. Linus Pauling andn the Race for DNA - Utilizing over 800 scanned documents, photographs, audio clips and video excerpts, this website narrates the pursuit of the discovery of the double helix structure of DNA. Malaria Parasite Metabolic Pathways - These maps were constructed based on the present knowledge of parasite biochemistry and on pathways known to occur in other unicellular eukaryotes. Most pathways are relevant to the erythrocytic phase of the parasite cycle. Millenium Pharmaceuticals - A leading drug discovery and development company, incorporating large-scale genetics, genomics, high throughput screening and informatics in an integrated science and technology platform. MIT Biology Hypertextbook - Online introductory molecular biology textbook. Mouse Atlas and Gene Expression Database Project - Resource for spatially mapped data such as in situ gene expression and cell lineage. The project is in collaboration with the Department of Anatomy, University of Edinburgh. Myriad Genetics - An emerging biopharmaceutical company focused on the development of therapeutic and diagnostic products using genomic and proteomic technologies. National Center for Biotechnology Information (NCBI) - A U.S. national resource for molecular biology information, NCBI creates public databases, conducts research in computational biology, develops software tools for analyzing genome data, and disseminates biomedical information. The NCBI Trace Archive stores raw data underlying all of the sequence generated by the genome project. National Human Genome Research Institute (NHGRI) - An international research effort to characterize the genomes of human and selected model organisms through complete mapping and sequencing of their DNA, to develop technologies for genomic analysis, to examine the ethical, legal, and social implications of human genetics research, and to train scientists who will be able to utilize the tools developed through the HGP to pursue biological studies. National Human Genome Research Institute (NHGRI): Policy and Legislation Database - Contains Federal and State laws/statutes; Federal legislative materials; and Federal administrative and executive materials, including regulations, institutional policies, and executive orders. The database currently focuses on the following subject areas: privacy of genetic information/confidentiality; informed consent; insurance and employment discrimination; genetic testing and counseling; and commercialization and patenting. Nature Biotechnology - Featuring biotechnology articles and science research papers of commercial interest in pharmaceutical, medical, and environmental sciences. Nature Protocols - An online journal of laboratory protocols for bench researchers. Protocols are presented in a 'recipe' style providing step-by-step descriptions of procedures which users can take to the lab and immediately apply in their own research. Protocols on the site are fully searchable and organized into logical categories to be easily accessible to researchers. Also see Stepwise, a blog from Nature Protocols. NetGenics - Provides its expertise in bioinformatics to pharmaceutical, biotechnology and agriscience enterprises seeking to solve specific research integration problems. NetGenics helps scientists manage the ever-increasing amount of data that support such activities as drug discovery and crop science research. Office of Biotechnology Activities (OBA) - US agency promoting science, safety, and ethics in biotechnology. OBA accomplishes its mission through analysis, deliberation, and communication of scientific, medical, ethical, legal, and social issues. Four programs: Recombinant DNA, Genetics, Health, Society, Dual Use Research, and Clinical Research Policy Analysis and Coordination. Omics Gateway - Provides life scientists a convenient portal into publications relevant to large-scale biology from journals throughout Nature Publishing Group (NPG). Open Biohacking Project/Kit - DIY genetic engineering, synbio, bio-experimentalism. PDBsum - A database of the known 3D structures of proteins and nucleic acid. Personal Genome Project - The Personal Genome Project is recruiting volunteers who are willing to share their genome sequence and many types of personal information with the research community and the general public to advance the understanding of genetic and environmental contributions to human traits and to improve the ability to diagnose, treat, and prevent illness. Plant Physiology - An international journal devoted to physiology, biochemistry, cellular and molecular biology, genetics, biophysics, and environmental biology of plants. Plant Physiology is one of the world's oldest and most well-respected plant science journals. A publication of the American Society of Plant Biologists (ASPB). PlasmoDB - Data from the Malaria Genome Project. PPL Therapeutics - One of the world's leading companies in the application of transgenic technology to the production of therapeutic and nutraceutical proteins. PPL routinely use both sheep and cows in transgenic production. The company's lead product is alpha-1-antitrypsin (AAT) which is in Phase ll clinical trials for the treatment of cystic fibrosis. PPL is the company that brought forth Dolly, the first mammal cloned from an adult cell. Primer on Ethics and Human Cloning - Article by Glenn McGee: Is cloning unnatural self-engineering? Will failures, such as deformed offspring, be acceptable? Will cloning lead to designer babies who are denied an open future? Who is socially responsible for cloned humans? Do clones have rights and legal protection? Prions (.pdf, 56 pp.) - Text of the Nobel Lecture presented by Stanley B. Prusiner on 08 Dec 1997. Prusiner was awarded the Nobel Prize in Physiology or Medicine for 1997 for his discovery of Prions - a new biological principle of infection ". Prions exist normally as innocuous cellular proteins, however, prions possess an innate capacity to convert their structures into highly stabile conformations that ultimately result in the formation of harmful particles, the causative agents of several deadly brain diseases of the dementia type in humans and animals. Prion diseases may be inherited, laterally transmitted, or occur spontaneously. Regions within diseased brains have a characteristic porous and spongy appearance, evidence of extensive nerve cell death, and affected individuals exhibit neurological symptoms including impaired muscle control, loss of mental acuity, memory loss and insomnia. Roslin Institute - Roslin Institute is a major international center for research on molecular and quantitative genetics of farm animals, and poultry science, with major programmes on the biology of reproduction, developmental biology and growth, and animal welfare and behaviour. Salk Institute for Biological Studies - Dr. Jonas Salk, developer of the polio vaccine, established the Salk Institute for Biological Studies more than 40 years ago. The major areas of study are: Molecular Biology and Genetics; Neurosciences; and Plant Biology. Knowledge acquired in Salk laboratories provides new understanding and potential new therapies and treatments for a range of diseases - from cancer, AIDS and Alzheimer's disease, to cardiovascular disorders, anomalies of the brain and birth defects. Studies in plant biology at the Salk may one day help improve the quality and quantity of the world's food supply. salmonella - Salmonella information and resources for researchers, the press, and the public. Data from Salmonella genome projects. Sanger Institute - A genome research institute. Spittoon, The - A blog written by the people of 23andMe. Using nothing more than a bit of saliva (get it: The Spittoon! ), the genotyping process we use analyzes nearly 1,000,000 locations in a person's genome. Then helps its customers read and understand their DNA. State Human Cloning Laws - Maintained by the National Conference of State Legislatures. Stem Cell - Wikipedia article: Stem cells are cells found in most, if not all, multi-cellular organisms. They are characterized by the ability to renew themselves through mitotic cell division and differentiating into a diverse range of specialized cell types. Research in the stem cell field grew out of findings by Canadian scientists Ernest A. McCulloch and James E. Till in the 1960s. The two broad types of mammalian stem cells are: embryonic stem cells that are isolated from the inner cell mass of blastocysts, and adult stem cells that are found in adult tissues. In a developing embryo, stem cells can differentiate into all of the specialized embryonic tissues. In adult organisms, stem cells and progenitor cells act as a repair system for the body, replenishing specialized cells, but also maintain the normal turnover of regenerative organs, such as blood, skin or intestinal tissues. Also see Stem Cell Controversy. Stem Cell Information - The National Institutes of Health resource for stem cell research. Stem Cell Research - Publishing high-quality manuscripts focusing on the biology and applications of stem cell research. Stem Cells and Stem Cell Transplantation - From Medline and NIH. StemExpress - A multi-million dollar company that supplies human blood, tissue products, primary cells and other clinical specimens to biomedical researchers around the world to fuel regenerative medicine and translational research. Stoeckle, Marc - Mark Stoeckle is an Adjunct Faculty Member in the Program for the Human Environment at The Rockefeller University. Dr. Stoeckle's interests include environmental genomics, DNA barcoding, birds, and the Census of Marine Life. Since joining the Program in January 2003, he co-authored a DNA barcoding protocol for the Census of Marine Life, and helped organize the Taxonomy, DNA, and the Barcode of Life conference held at Banbury Center, Cold Spring Harbor Laboratory, New York in September 2003, and the inaugural meeting of the Consortium for the Barcode of Life (CBOL), held at Smithsonian Institution, National Museum of Natural History, Washington, DC, in May 2004. The goal of the Barcode of Life project is to enable a practical method for rapid identification of the estimated 10 million species of life on Earth. By applying technologies of molecular biology to the living world outside the laboratory, the Barcode of Life project offers the prospect of deeper understanding and appreciation of the diversity of life on Earth. Also see the Barcode Blog. Subviral RNA Database - A database of the smallest known auto-replicable RNA species. Trace DB - Stores the raw data underlying all of the sequence generated by the genome project. Tristem - Researches and develops its retrodifferentiation technology, used to create stem cells from mature adult cells. True Food Now - Works to protect human health and the environment by curbing the proliferation of harmful food production technologies and by promoting organic and other forms of sustainable agriculture. TubercuList Web Server - This server is constructed around a database dedicated to the analysis of the genomes of the tubercle bacilli: TubercuList. Its purpose is to collate and integrate various aspects of the genomic information from M. africanum, M. bovis, M. bovis BCG, M. canetti, M. microti, and above all, M. tuberculosis. TubercuList provides a complete dataset of DNA and protein sequences derived from the paradigm strain M. tuberculosis H37Rv, linked to the relevant annotations and functional assignments. University of California, Santa Cruz: Human Genome Project Working Draft - This site contains a working draft of the human genome, which is over 90% complete. Approximately half of the sequence is in a highly accurate 'finished' state. The other half is merely 'draft' quality. Some care must be taken interpreting draft regions, but these are still often very useful to the working scientist. VaxGen - A leader in developing preventive vaccines to eradicate HIV/AIDS. Waystation, The - A web-accessible centralized structure for the submission, peer-review, publication and release of genetic variation data. Backed by the HUGO-Mutation Database Initiative, it provides a consistent, flexible interface through which researchers anywhere in the world can report novel variations (both disease-causing mutations and SNPs) in any gene. Wnt Gene - Wnt proteins form a family of highly conserved secreted signaling molecules that regulate cell-to-cell interactions during embryogenesis. Wnt genes and Wnt signaling are also implicated in cancer. Insights into the mechanisms of Wnt action have emerged from several systems: genetics in Drosophila and Caenorhabditis elegans; biochemistry in cell culture and ectopic gene expression in Xenopus embryos. Many Wnt genes in the mouse have been mutated, leading to very specific developmental defects. Wormbase - The biology and genome of C. elegans. Xenon - A privately owned Canadian biotechnology company engaged in drug discovery using clinical genetics and functional genomics. The company's lead drug discovery program targets low HDL, the most common lipid abnormality in cardiovascular disease. The company also has drug discovery programs in diabetes and osteoporosis. This webpage last updated on Thursday, November 29, 2018 2:00 PM.